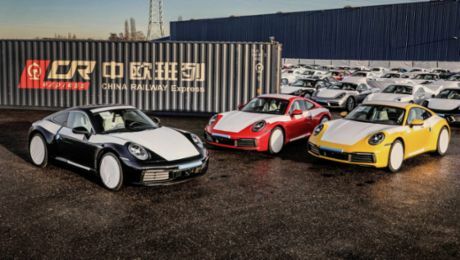 Porsche increased global deliveries to customers from January to November this year to more than 169,000 vehicles, already exceeding the overall total for 2013 of 162,145 new cars. This represented a growth of 15 per cent over the same period last year (January to November 2013: 147,290 vehicles). In the reporting month of November, Porsche delivered 17,700 vehicles – an increase of one quarter over the same month last year. "This strong November is evidence that our strategy is working extremely well," said Bernhard Maier, Member of the Executive Board – Sales and Marketing of Dr. Ing. h.c. F. Porsche AG. "It also confirms our commitment to taking advantage of every opportunity presented on the global markets." In Europe, Porsche delivered from January to November 2014 around 54,500 vehicles – an increase of 18 per cent over the previous year, with the domestic German market accounting for 22,200 of these. 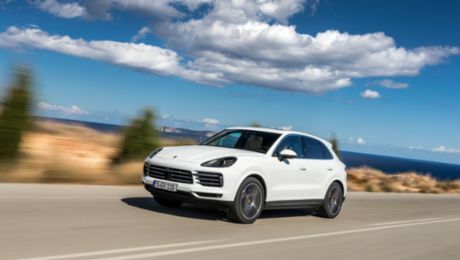 And with a total of 51,600 deliveries – an increase of 13 per cent – the American region also showed a significant rise in the number of customers opting for Porsche. In addition, mid-November saw the sale of the last of the 918 Spyder hybrid super sports cars. This was a limited run of 918 models. The majority of the cars – 297 – will be shipped from the Zuffenhausen manufactory to buyers in the USA. And in both Germany and China there are around 100 proud new owners of the super sports car. For a detailed deliveries overview go to Downloads (left column).